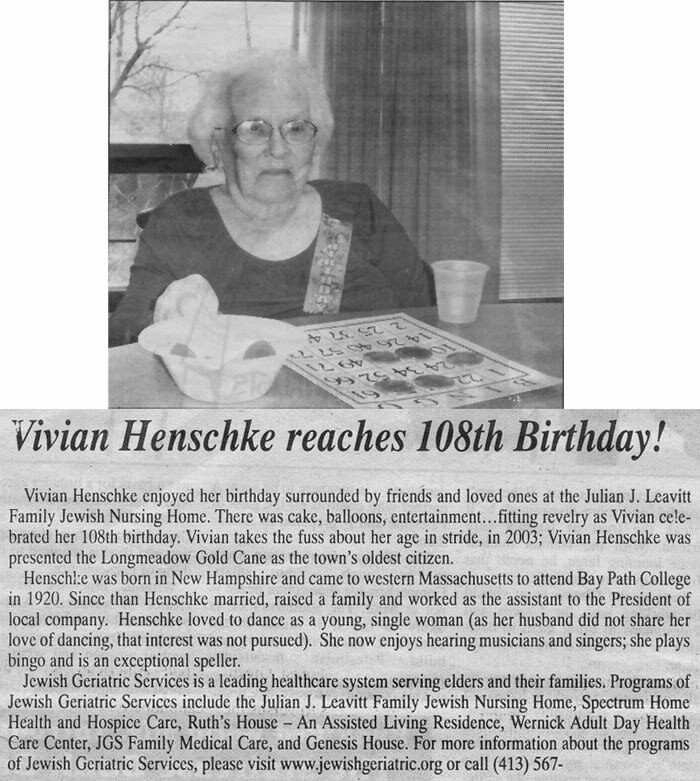 The Longmeadow News reported on Thursday that town resident Vivian Henschke recently celebrated her 108th birthday! 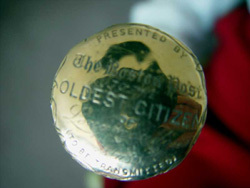 Vivian is currently the oldest town resident and has had possession of the Golden Cane since it was presented to her in 2003. At that time Bob Lezinski- a former long time town resident and journalist wrote a story about Vivian and the history of the Golden Cane for the Longmeadow Chronicles- a popular feature on our town website. For those interested in reading more about Vivian in her "younger days", read the article: "Meet Vivian Henschke: Longmeadow's Eldest Citizen"
A couple of years ago I inquired at Town Hall about the Golden Cane and no one seemed to know much about the tradition or even whether or not it still continued. A big thank you to Hope Tremblay and the Longmeadow News for reporting on this great celebration. For other interesting stories about Longmeadow, its citizens as well as its history... check out the Longmeadow Chronicles on the town website.